That makes more sense but editing the post to add loss only takes a couple of seconds and clears up a whole lot. Aren't the latter two permanent fixtures in the top 10 for ridership? Of course they will reach it if they're always there. The former tanked it's way out of the top 10 and may soon be out of the top 20. The MTA seems to have some fetish for these routes which involves reducing service levels. It is beyond my imagination what the deal is here. 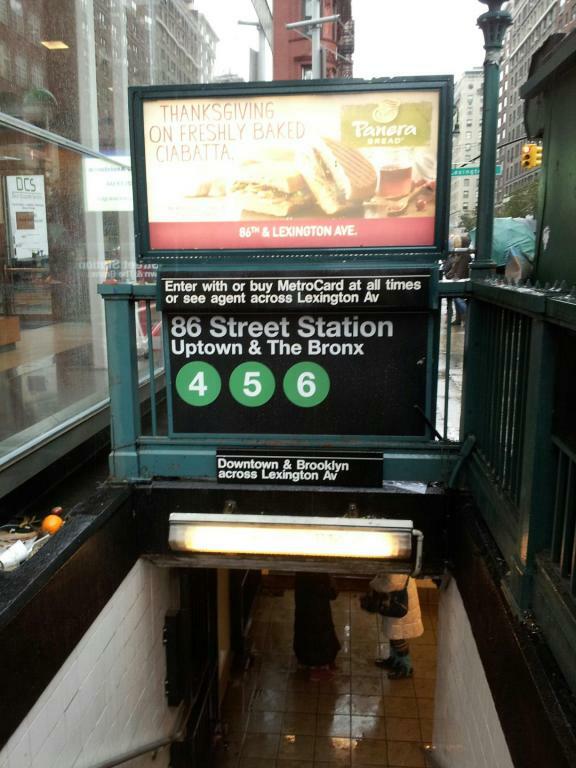 NYCDOT: What if we saved the subway by getting folks to use the other trains we have here??? I mentioned on here before that Commuter service should be increased within the city with fares competitive with the subway. The cost of running a few more TPH in the Bronx and Queens is far lower than the subway upgrades necessary to bring the Lex and QBL where they need to be. You're also likely to garner decent usage on these commuter lines as well since the rail portion of trips would be short and people can connect to the same local buses they're already using to get to the subway. Who ever said the MTA wants to win back bus riders? Most of their moves suggest they're okay with losing even more riders as they complain about the decrease. What schedule is the Bx12 +SBS running on today? Today didn't seem so bad at least compared to typical Bx12 +SBS standards. I'm not going to be happy when the kiddos are back to school and Bx12 local service has been cut once again. Why is 5 the Bx Express instead of 2? Don't let the low rankings of Dyre Av stations fool you. The vast majority of those boardings are Southbound during the AM Rush when only 7 TPH are running on the Dyre. The from Dyre fills up very quickly. Most cars have 75-80 passengers on them entering East 180th (AM Rush only) which is way too much considering the crowding the will end up seeing further along the route. If only there were someway to run more than 7 TPH from Dyre Av in the morning the wouldn't be so bad. It's sad that folks who ride the the in mid-afternoon to head to Manhattan get more frequent service than a peak traveler. Has the Bx41 SBS seen any action with 5468 and 5476 yet? Also, what will it take for the masses to learn that the Bx5 runs to Bay Plaza on weekends? It seems like a well kept secret given the ridership patterns from Bay Plaza to Pelham Bay. The priorities of the MTA at this point should be to 1. Stop the bleeding. - Take the routes seeing ridership losses of 10% or greater (most of which are in Manhattan and Brooklyn) and make any necessary improvements to them on a route by route basis. I would not recommend SBS anywhere but I would definitely go for increased short turns, better frequencies and in the odd case a restructuring of the route. 2. Avoid future bleeding. - Look at routes that are not losing big but still get tons of complaints (your Bx36, B82 and others of similar vein) and follow step 1 with those. I would recommend a split in the case of the Bx36 but that can be discussed another time. These routes are where your future bleeding will occur if left unaddressed 3. Maximize potential ridership - Take a serious look at travel patterns in 2018 and reorganize the network as a whole around them. This is where we dive into the weeds of feeder routes and coverage routes and actually make sure that these routes satisfy the demand of our lower density neighborhoods and thus we’re maximizing ridership overall. The problem is that extensive origin and destination data is necessary (even for other modes) is necessary to determine good ideas for improvements here. All three should be done simultaneously but since I only trust the MTA to address one at a time they should start with #1 first. My rebuttal to checkmate was founded more in the logic that the frequency of service becomes the main criteria to evaluate routes in an ideal world where the vast majority of routes are reliable. Routes with low frequencies (while needed) just wouldn't appeal enough to get an A if all routes are graded on the same scale and pass the reliability test. Checkmate seems to think any route that is useful and reliable should get an A while not considering that a 3 minute headway can be rated equivalently to a 15 minute headway and one of those is much worse on paper than the other. A route's report card grade to me is not some evaluation on it's existence more than a reflection of what the average joe would think about that route if he used it. The average joe wouldn't be giving A's to the Bx29 and F's to the multitude of low headway routes that have them in any world where the service made sense.